Support Company One Theatre at the party of the year! Dance the night away while raising money to support inclusive storytelling, artists in the classrooms, and boundary breaking theatre. With performances from Miss You Like Hell, surprise guests, a complimentary ice cream sundae bar, and more! The Dance Party Starts at 8pm! 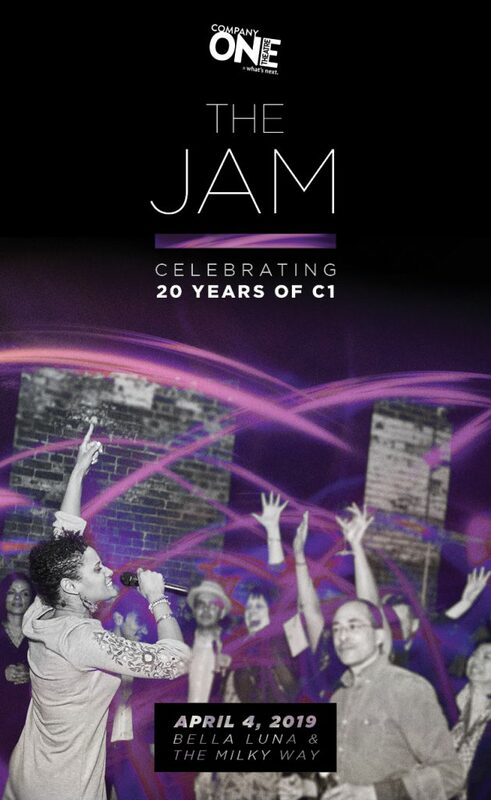 Want to support THE JAM in a big way? Contact gala@companyone.org to learn how you can become an event sponsor and attend our VIP dinner before the dancing starts! Support C1 by bidding on our online auction! Be a part of Company One’s history by funding our future. Your bids will enable us to build on our impact: 12,000 students served through our education programs, 80 shows produced, and 100,000 audience members reached. >>Past recipients of the Lois Roach Award include Boston Arts Academy (2017), Abe Rybeck (2016); Joyce Linehan (2015); Rob Orchard (2014); Lydia R. Diamond (2013). Past recipients of the David Wheeler Award include Kadahj Bennett (2017), Brandon G Green (2016); Obehi Janice (2015); Nik Walker (2014); Danny Bryck (2013).